Independence Beer Garden is located near Independence Hall. Independence Beer Garden has announced when it will open for the 2018 season – and it's soon. 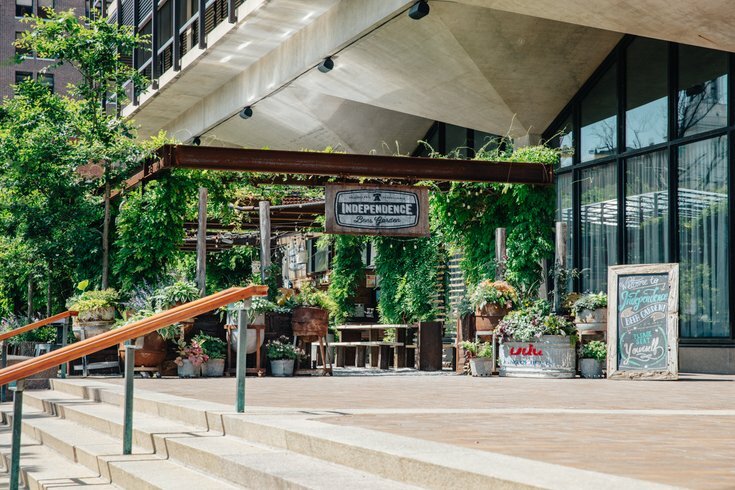 The beer garden near the historic site on Independence Mall will be open Friday, April 20, through Sunday, April 22, and then will begin regular hours on Thursday, April 26. It will be open seven days a week during the 2018 season, which typically lasts through September or October, depending on the weather. Enjoy picnic seating, lounge chairs, lawn games and twinkling lights, in addition to food & drink. There's a new menu this year, which includes large platters for groups. Visitors will be able to order brisket, pulled pork, turkey, chicken wings or Italian sausage by the pound to share at their tables. Other items on the menu include salads, sandwiches and snacks like hummus, pretzel bites and cheese curds. The beer garden's hours are listed below. • Wednesday to Thursday : 11:30 a.m. - 1 a.m.
• Friday and Saturday : 11:30 a.m. - 2 a.m.